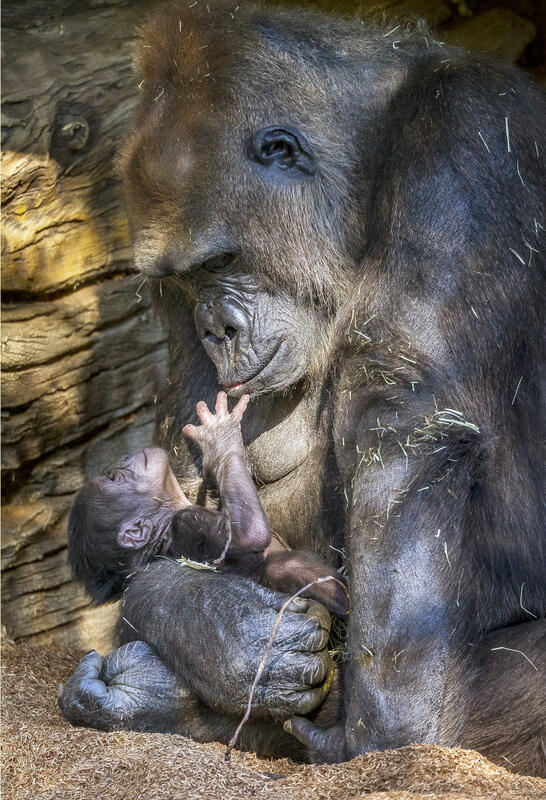 SAN DIEGO -- A baby gorilla has been born at the San Diego Zoo Safari Park. The zoo announced Thursday that Kokomo, an endangered western lowland gorilla, gave birth to a daughter about two days ago. The baby weighs about 4 pounds and Kokomo tops the scales at 229 pounds. The zoo says Kokomo is a very protective and attentive mother who won’t let the newborn out of her arms. However, she is allowing other gorillas to check out her daughter - who doesn’t yet have a name. It’s the second baby for Kokomo and the father, named Winston. The baby is the eighth member of the zoo’s gorilla troop.